Internet of Things Conference How to make money with IoT? Cisco is saying there will 50B connected devices in 2020. However the average person does not know what IoT means. Enterprises are tipping their toe in the water when it comes to IoT projects. Lots of system integrators are presenting slides about predictive maintenance, smart cities, smart health, smart energy, etc. The truth: 2016 will not be the year of massive industrial IoT projects yet. It will be the year in which the right companies and individuals will see substantial IoT revenues. But you will have to think out of the box. 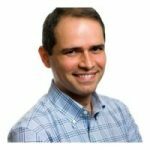 This talk will give some clear guidance on how to do that…This session will outline real-world use cases where IoT is disrupting industry, showcasing the before and after effect of IoT across all core vertical markets. Scale via Crowdsourcing, Open Sourcing, etc. 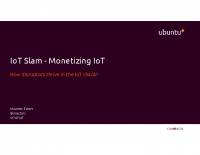 IoT Slam Internet of Things Conference How to make money with IoT?